Welcome to The Bear Lodge Motel, Located in downtown Sundance, nestled beneath Sundance Mountain. 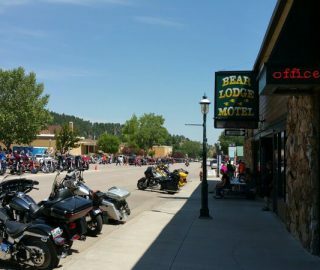 The Bear Lodge Motel is the best motel in Sundance and it is perfect choice for your Wyoming and South Dakota vacation. 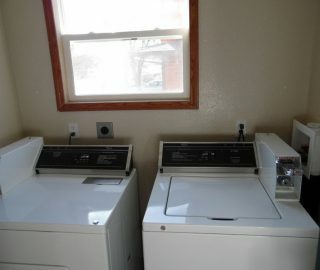 This 34 unit non-smoking motel features an inside courtyard with outside entrance to each room. A quick walk across the street will take you to several restaurants, a coffee shop, several specialty stores, three bars, the Crook County Museum and The Sundance Kid Statue. There are plenty of attractions nearby. The Devils Tower is just 30 miles from the motel. Mt. Rushmore is 96 miles, Gillette WY is 62 miles, Spearfish SD is 33 miles, Rapid City is 80 miles. "Rooms were spacious, beds clean and comfy, bathrooms spotless, staff nice. Not far from Devils Tower if I were to come back to the area I would stay here again. Town is full of friendly folk that day hi to you when out and about"
"We checked in to this hotel the day after the long weekend and was pleasantly surprised. The price was reasonable and the service was pleasant and friendly. in the morning the breakfast was well done and the staff (owners I think) were courteous and helpful. Nothing to complain about here." "We are a family of 5 and booked a triple room which consisted of 2 double beds and 1 queen bed in a separate bedroom. The room cost was less than what a normal 2 queen room runs at a chain hotel. The room was very clean and you could tell they take pride in their rooms. Check in was a breeze with polite staff. Breakfast did not disappoint with multiple options available. Will stay there again if ever we return to the area." Welcome to The Bear Lodge Motel, Located in downtown Sundance, nestled beneath Sundance Mountain. 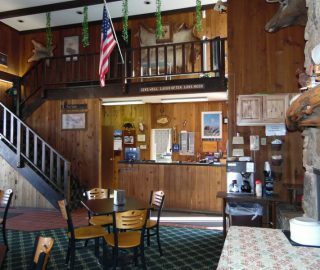 The Bear Lodge Motel is the perfect choice for your Wyoming and South Dakota vacation. Bear Lodge Motel 2018. All Right Reserved.